When does this ice rink open? CitySkate will return on Friday, November 23, 2018 and we're celebrating its return with a huge "welcome back" party. Join us. You can at the ice rink ticket booth. You can find pricing information right here. CitySkate will remain open during light rain. We'll use our best discretion in determining whether to close during heavy rain. We sure do! And the skates are included with your ticket purchase. We're visiting from out of town, where should we stay? 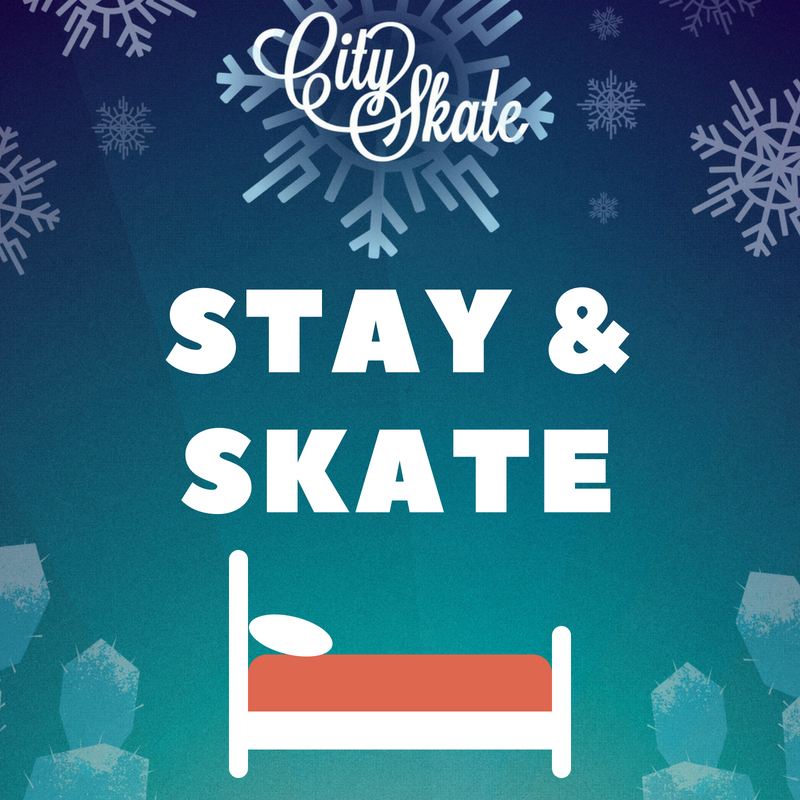 We know just the place, and they even offer “CitySkate” and “Holiday Romance” packages. Headed to CitySkate? No matter your destination, you can park at CityScape Phoenix for easy, secure and affordable underground parking with immediate access to anything and everything in the heart of the city. Our two parking garages can be accessed on Washington Street, Jefferson Street or First Avenue. If you’re attending an event downtown like CitySkate, a concert, baseball or basketball game, museum exhibit or symphony performance, park at CityScape for value and convenience.